Did you know there is a jar of Nutella sold every 2.5 seconds and a quarter of all hazelnuts grown around the world are used to make it? And it’s no wonder. Who isn’t a fan of the oozing chocolate loveliness? Whether its lathered-on toast, spread on pancakes or taken to with your largest dessert spoon, there’s no denying that Nutella is a world favourite. 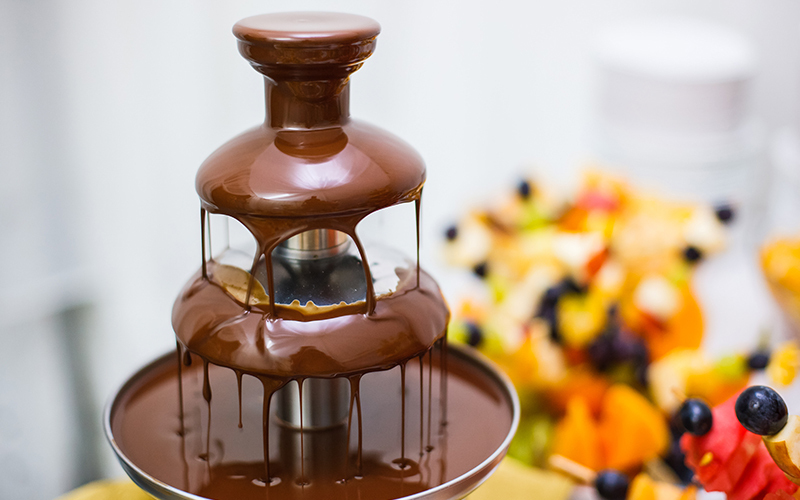 Nutella Day will be celebrated all over the world on February 5th and the culinary team at The Westin Dubai Mina Seyahi Beach Resort & Marina are pulling out all the chocolatey stops with a grand Nutella fountain! Residing in the resorts lobby for all to see its splendor, the one-day only creation will come with all the trimmings to keep residents and passersby in a hazelnut food coma from dawn till dusk. Fruits, marshmallows and plenty of other dippable treats will be complimentary for anyone looking to get their Nutella fix throughout the day. Head pastry chef, François Laloue, will also be setting up a mini pastry kitchen in the lobby with Nutella surprises, plus unique tips on how best to eat the spreadable phenomenon. Details: The fountain will be available at The Westin Dubai Mina Seyahi Beach Resort & Marina on February 5th for one day only. To learn more about World Nutella Day, click here. Previous Post&LeftArrow; Previous Meet and greet Dubai DJ Kris Fade this Friday at DUKESY Family Brunch!